Know someone who loves pizza and has a huge sweet tooth. Now you can gift them a solid chocolate pizza! 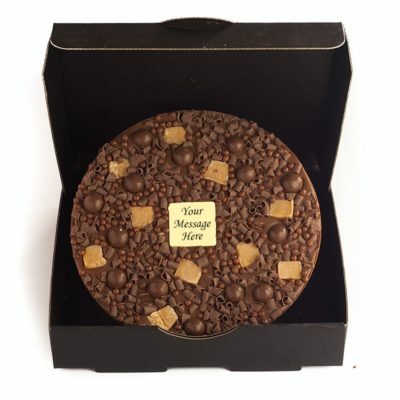 Chocolab’s chocolate pizzas are made with the finest Belgian chocolate so they are guaranteed to melt perfectly in your mouth with each and every bite.